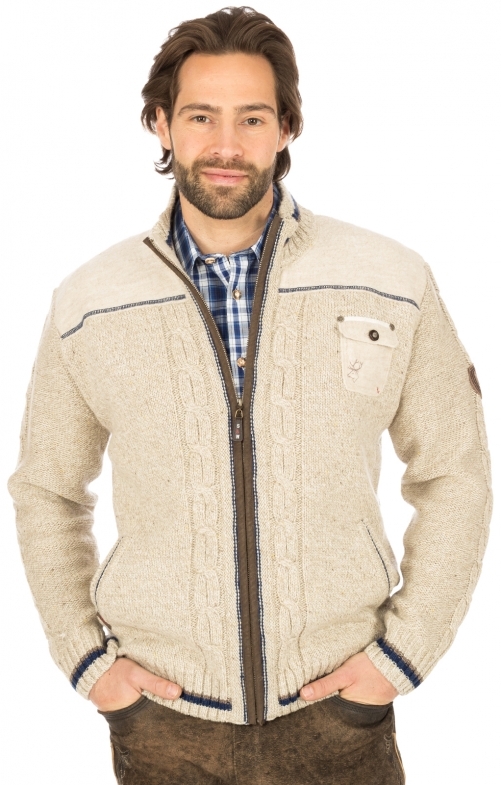 This traditional cardigan by Spieth & Wensky is equipped with a practical zip and keeps you warm. The jackets are fashionably decorated with coloured stripes, as well as the shoulder of felted wool with a decorative stitching. A beautiful embroidery on the upper back reminds of the rutting season. A traditional cable pattern on the front and back completes the overall look of this jacket. Absolut perfekt die Qualität, der Service und die Lieferung. Kann ich nur weiterempfehlen. Super Qualität und bei Fragen sehr freundlich. Preis Leistung Top.